The Sheffield Botanical Gardens are situated off Ecclesall Road, around a mile to the south west of Sheffield City Centre and contain 5,000 species of plants in an area covering 19 acres (77,000 m2). 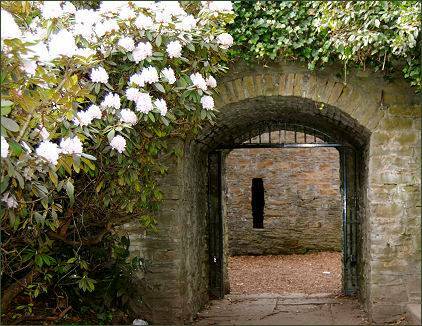 The gardens were designed by Robert Marnock (1800-1889) and first opened in 1836. 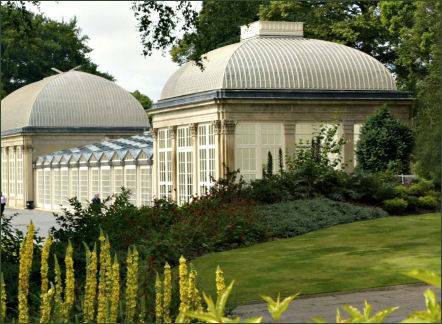 They feature Grade II listed glass pavilions, some of the earliest curvilinear glass structures ever built, which were restored and reopened in 2003. The gardens, which contain several listed buildings, now have 15 different garden areas, each of which is unique and containing collections of plants from all over the world, including Mediterranean, Asian, American prairie-style, woodland and rock-and-water plantings. They also boast the National Collections of Weigela, Diervilla and Sarcococca. They aslo feature the Bear Pit, Fountain and water features and Riddle Trail Structures.